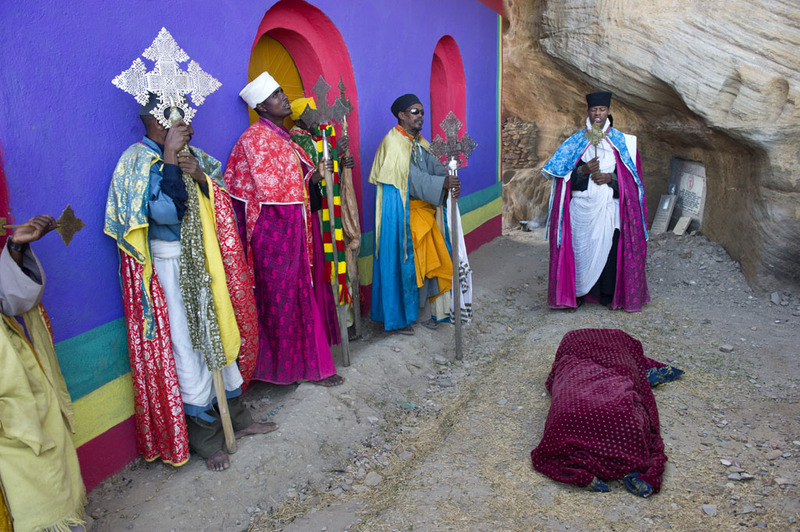 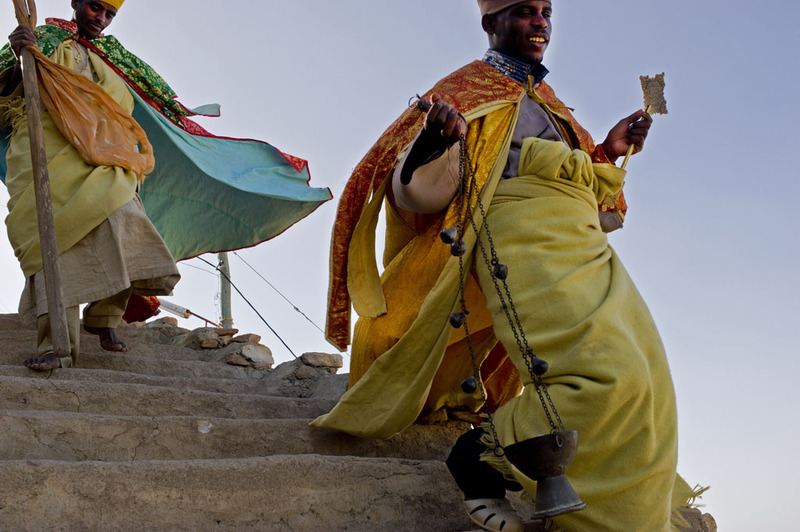 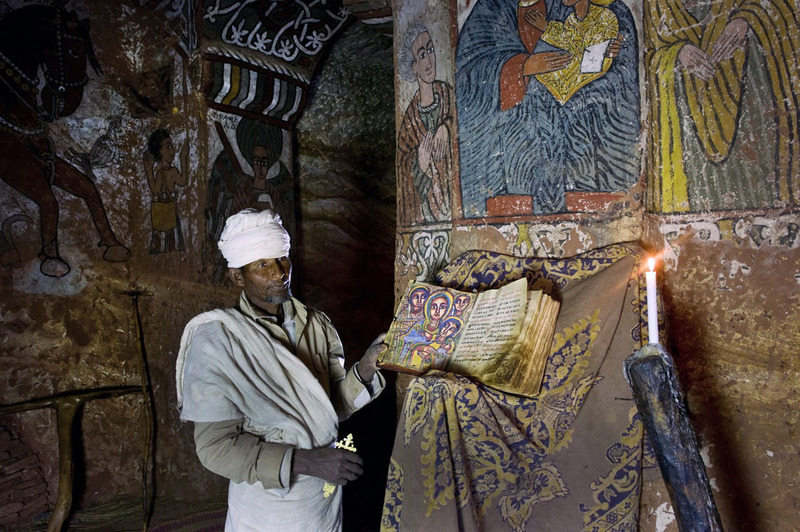 The Ethiopian Orthodox Church was founded by the monks Frumentius and Aedissius in the early 4th century, during the reign of King Ezana of Axum, who converted to Christianity along with many of his people. 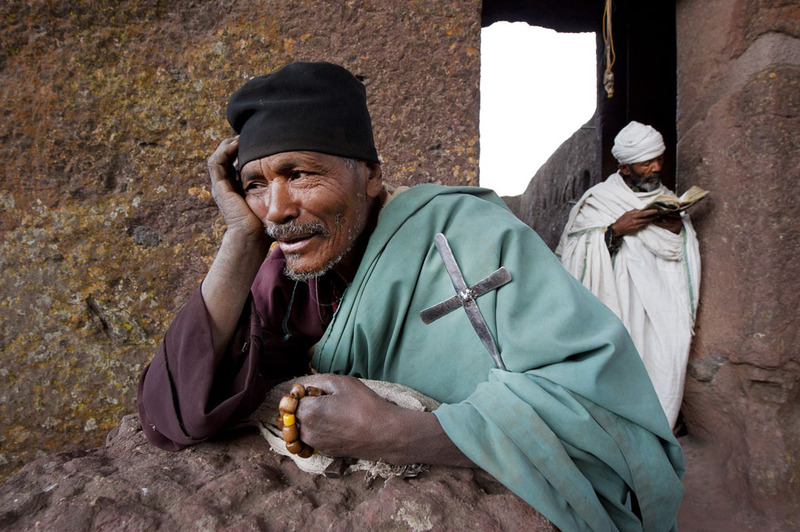 In the 7th century the conquests of the Muslim Arabs cut off the Ethiopian church from contact with most of its Christian neighbours. 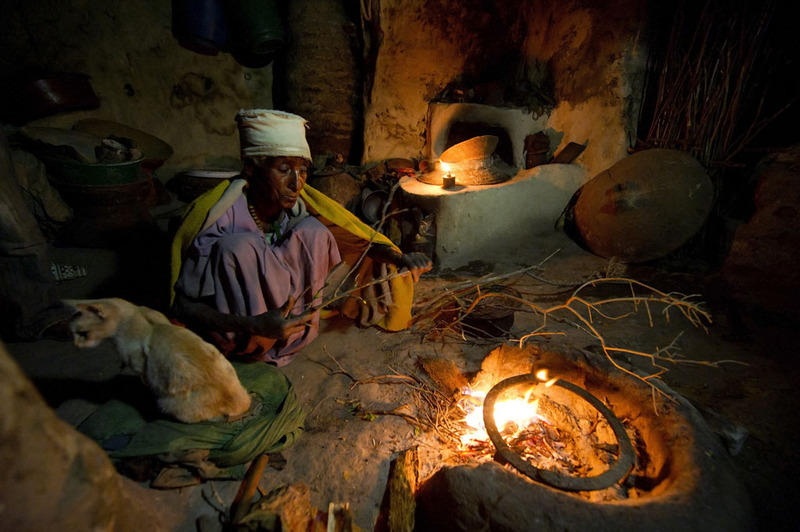 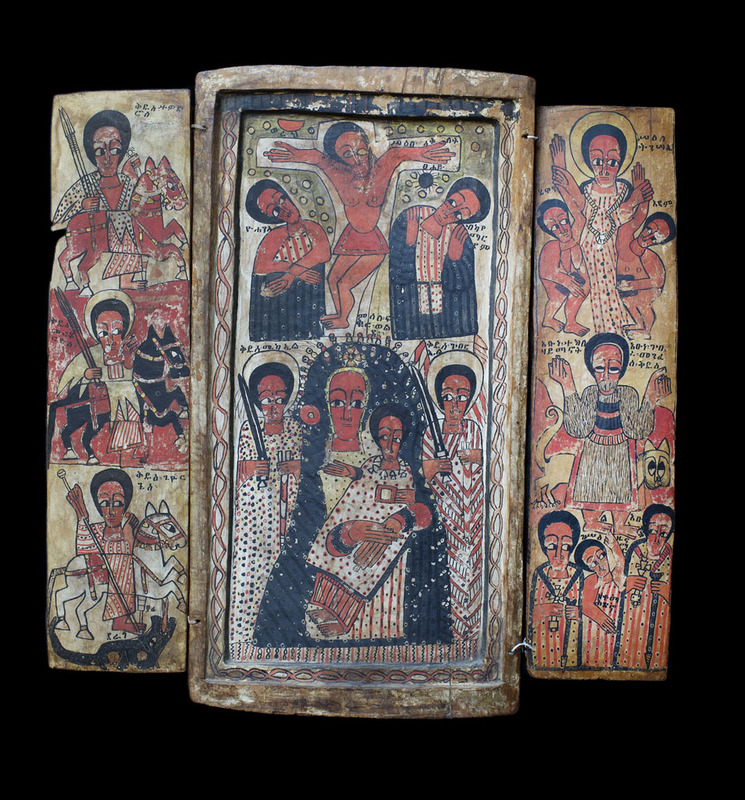 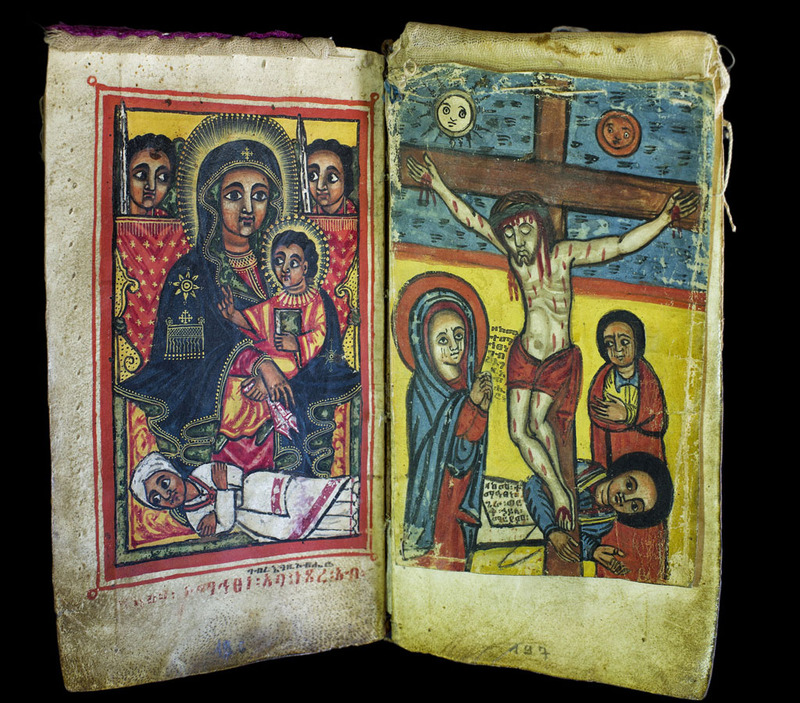 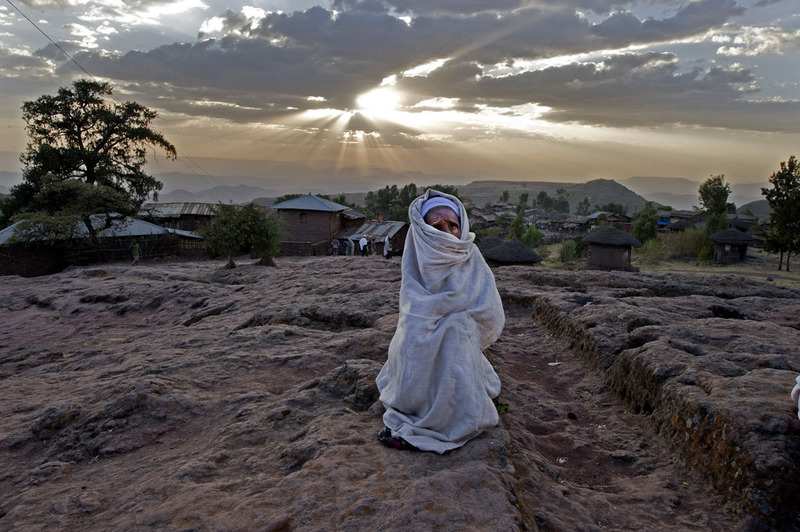 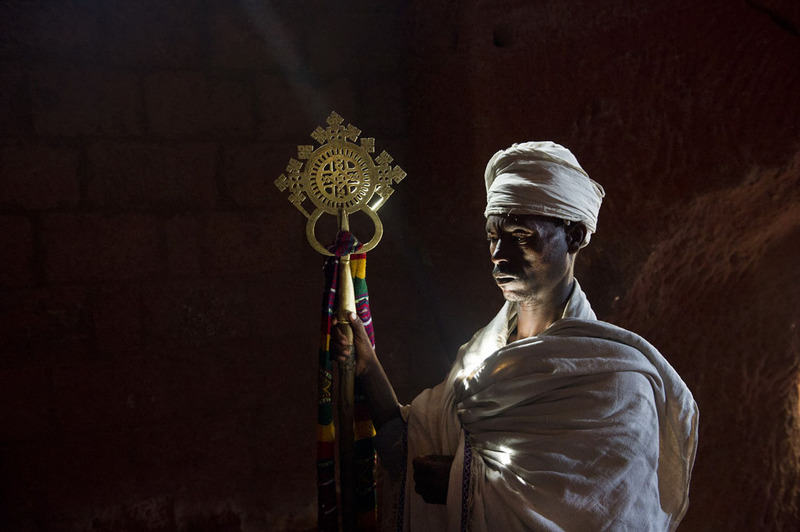 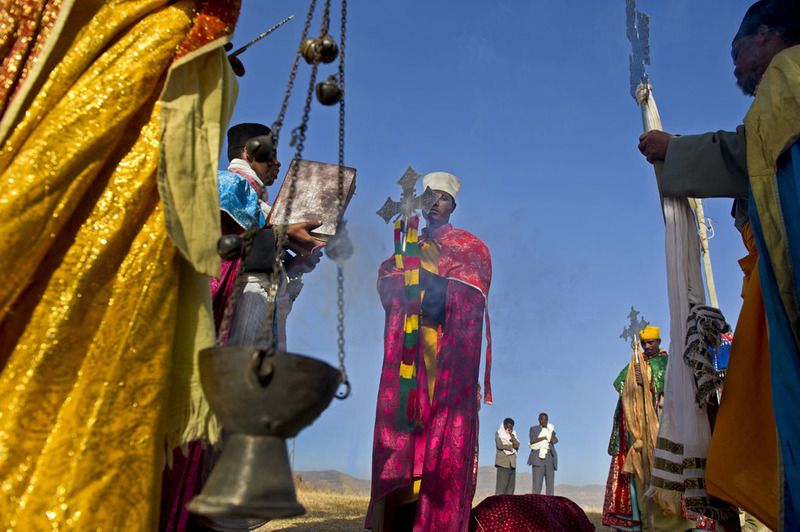 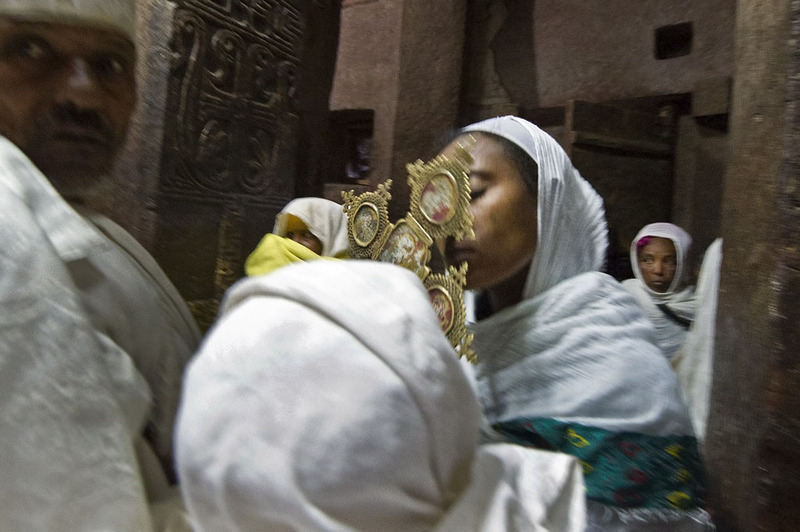 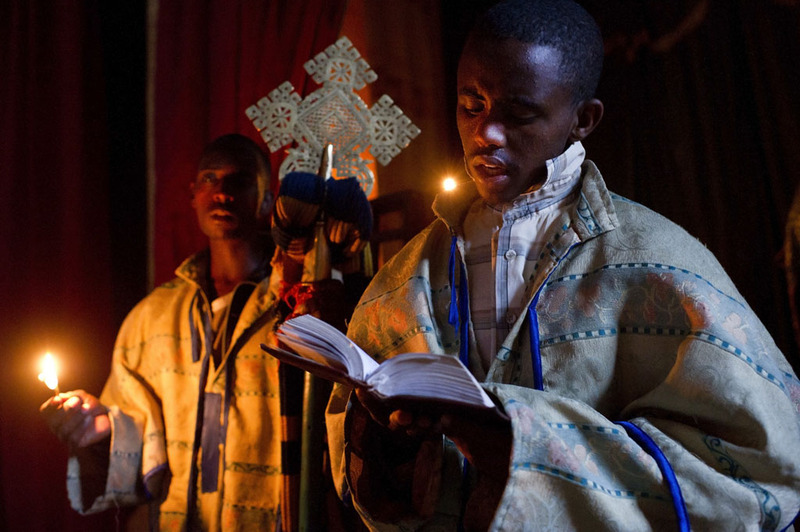 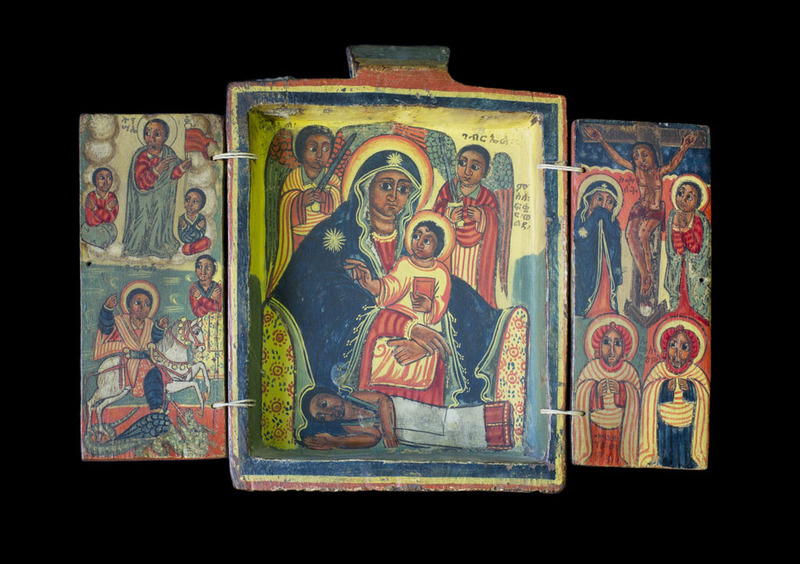 Ethiopian Christianity blends Christian conceptions of saints and angels with pre-Christian beliefs in benevolent and malevolent spirits and imps. 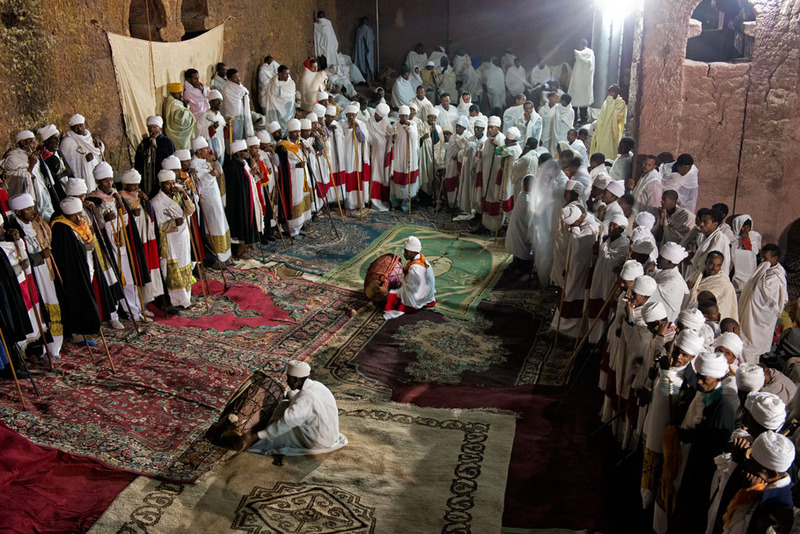 Today, it is a self-governing church, though it traditionally shares the same faith with Egypt’s Copts. 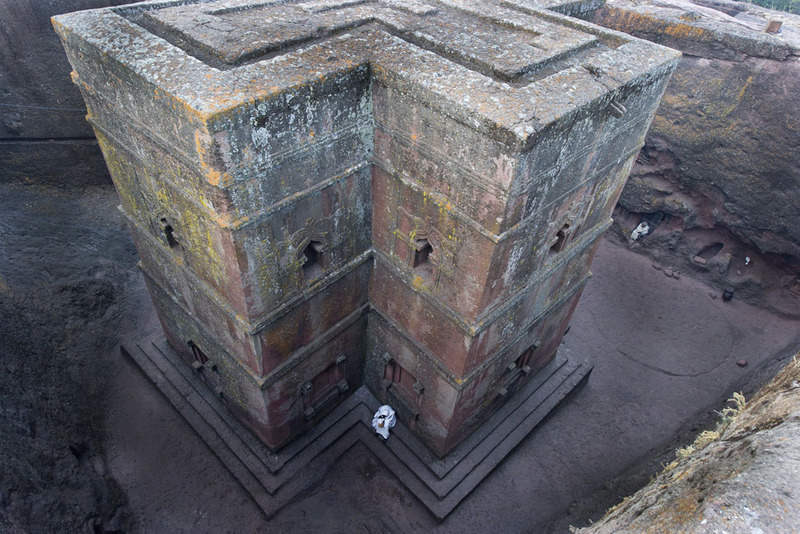 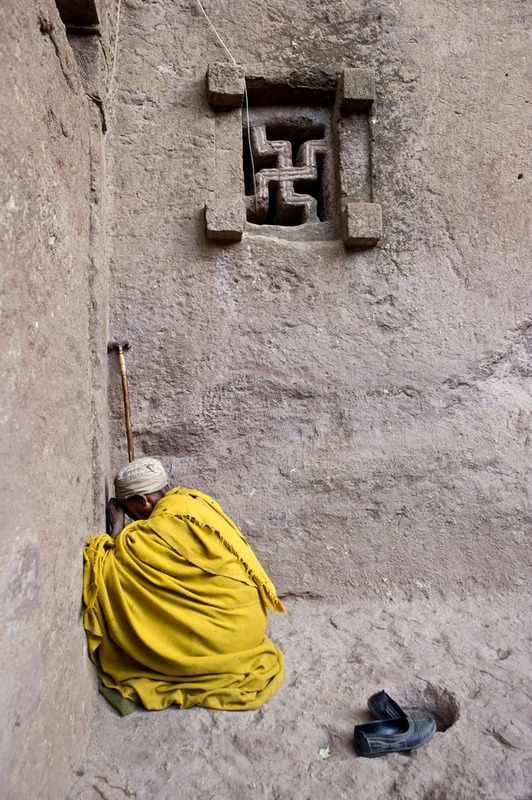 The rock-hewn churches of Ethiopia (churches made from a single block of stone) are exceptionally fine examples of a long-established building tradition. 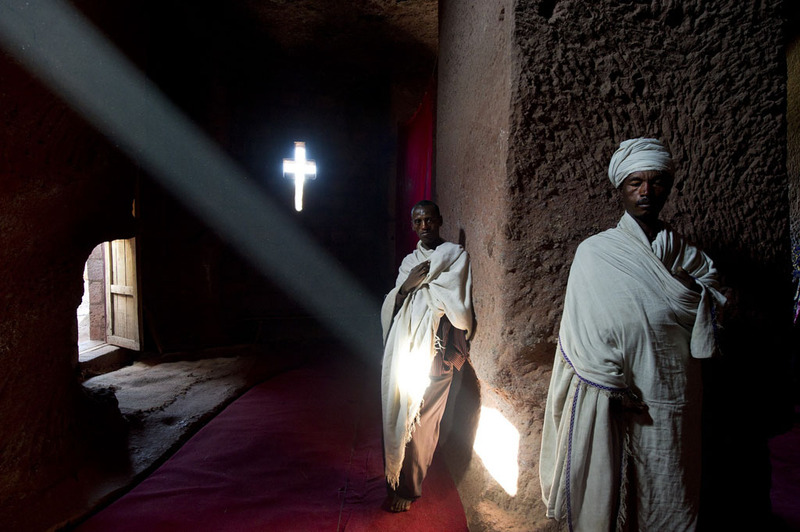 Monolithic churches are to be found all over the north and the centre of the country. 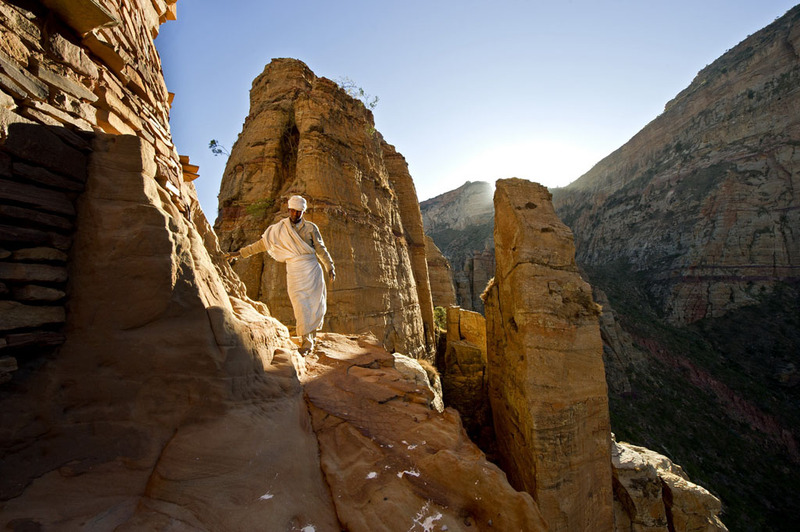 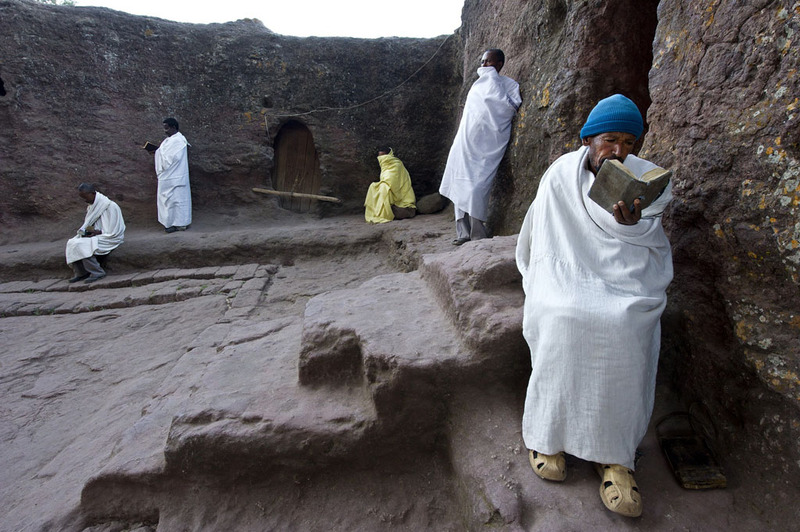 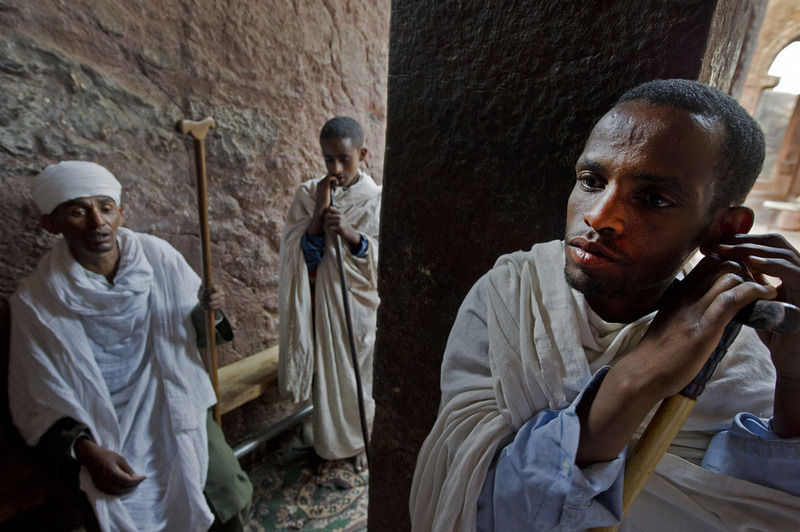 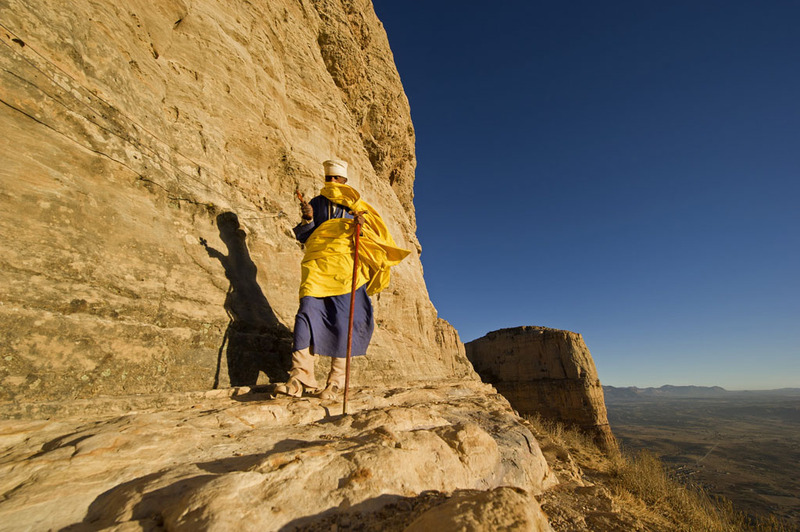 Some of the oldest churches are to be found in Tigray, and they date from around the 6th or 7th centuries. 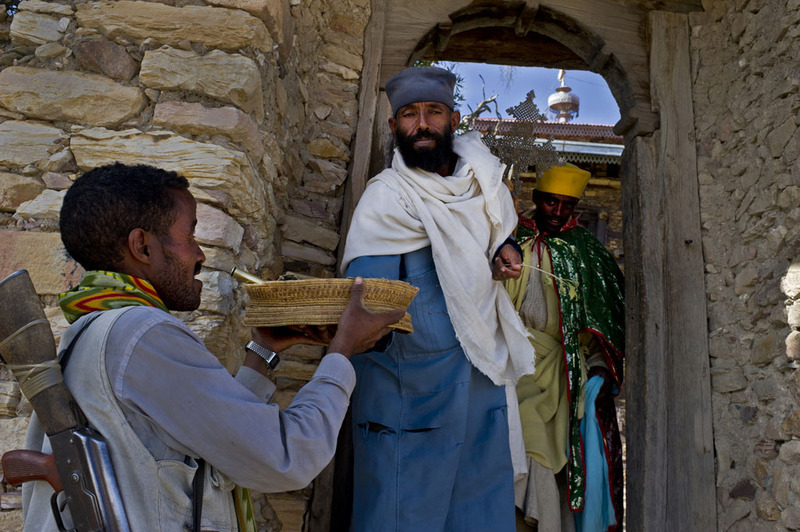 Most of the approximately 120 churches and monasteries are more or less hidden in the mountains. 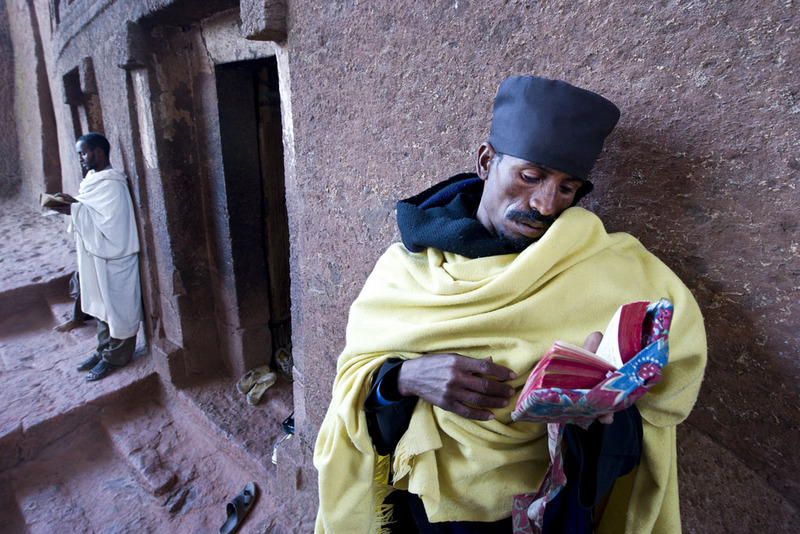 There, they still use Bibles and Holy books from the 15th or 16th century at their daily prayers. 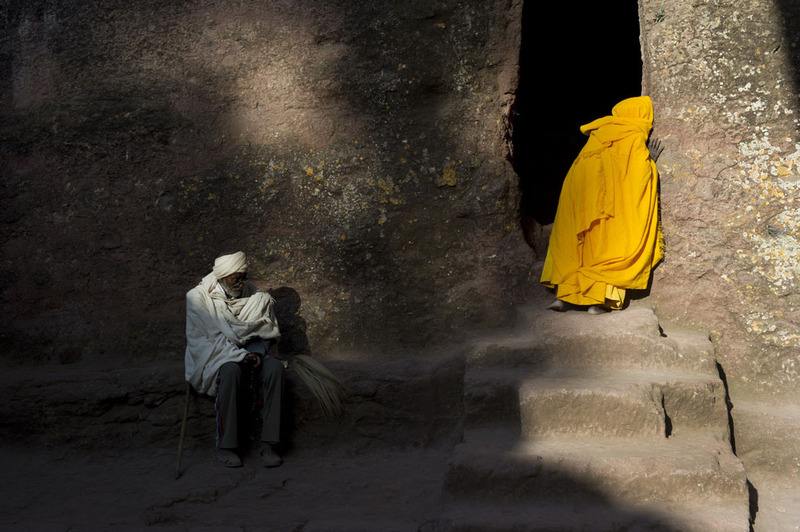 Most of the churches and monasteries are still very active and more or less populated with monks and priests. 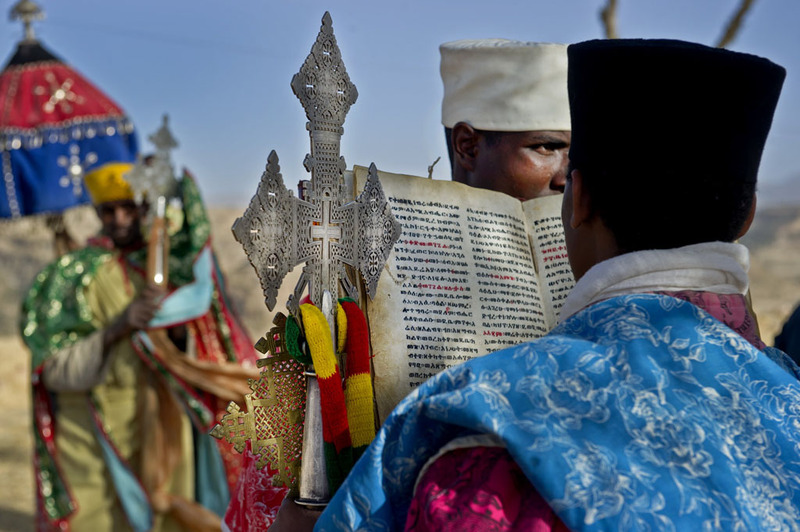 They supposed to hide the “original” Arc of Covenant in the town of Axum.